Previously unknown brand VL Automotive surprised Detroit Auto Show goers earlier this year by unveiling the Destino--a V-8-powered luxury sedan based heavily on the Fisker Karma. Now, with Fisker Automotive circling the abyss, Bob Lutz-backed VL is reported to have bid for the ailing luxury automaker. According to Reuters, VL Automotive has made a joint bid with Chinese firm Wanxiang Group to gain control of Fisker through a prepackaged bankruptcy. Wanxiang is best known for buying up bankrupt battery maker A123 Systems late last year. 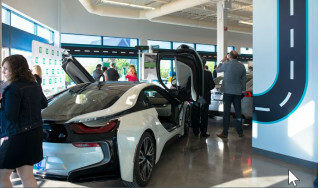 The problems faced by A123, which supplied batteries for the Fisker Karma, were one of the initial factors that saw Karma production stop in July last year. 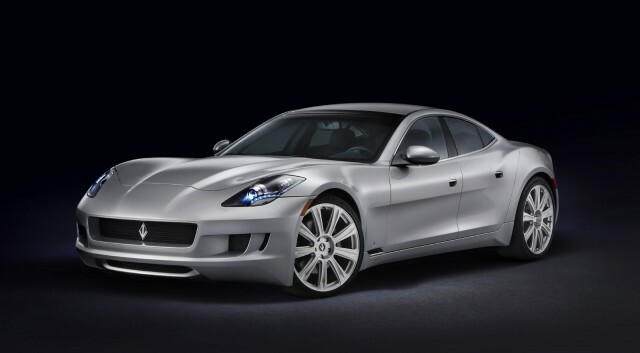 The Chinese firm has previously looked at buying into Fisker, but the latest bid comes as a joint effort from the company and the Lutz-backed VL Automotive. Other Chinese companies also looked into buying Fisker, but one, Geely, deemed the company "too risky" due to its large outstanding government loans. VL Automotive's Destino is near-identical externally to the Karma, but uses a GM LS9 V-8 engine--the same supercharged unit as found in the Corvette ZR1 supercar. Ironically, it might not be significantly less fuel-efficient either, at least compared to the plug-in hybrid Karma's poor 20 mpg figure on gasoline. Lutz and his partner, industrialist Gilbert Villarreal, intend to sell the Destino for $180,000, significantly more than the $100,000 Karma. "I want Fisker to live and succeed, if only to ensure a continuing supply of Karma bodies for [the] VL Destino," he said in a blog post posted on Forbes.com on April 26. However, anonymous sources suggest the bid is in no way a done deal, Fisker's precarious position--particularly with $192 million in unpaid Department of Energy loans--meaning talks may fall apart. Research analyst Donn Vickrey from Gradient Analytics suspects it may be "more feasible" for a larger firm to absorb Fisker's operations, rather than the company being operated as a standalone automaker.